As part of the national innovation strategy, Australia is setting up five landing pads to help startup companies expand internationally. The Hon. 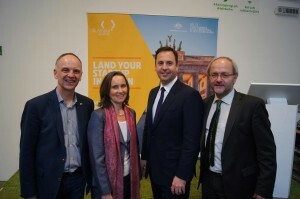 Steven Ciobo , Australia’s Minister for Trade and Investment was in Berlin’s co-working space Rainmaking Loft this week to announce the selection of Berlin as the European launching landing pad. He was joined by a number of guests, including GABC board members Sabine Pittrof and Robert Harrison. Rob, whose family come from Australia, was thrilled with the news. 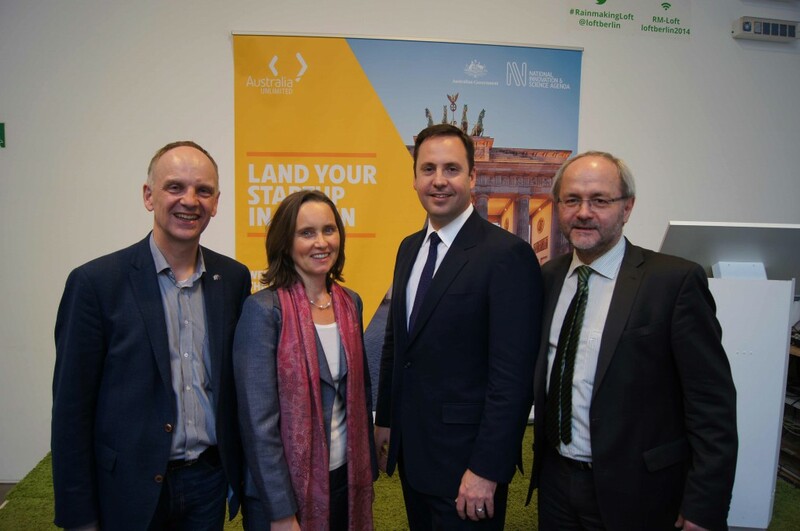 “There’s a growing startup ecosystem in Germany and it’s great to see the Australian government supporting young and innovative companies to join us in the heart of Europe.” As GABC President Chair Sabine noted, “Germany industry is on the lookout for innovative partners throughout the world. The German Australian Business Council provides excellent opportunities for German and Australian businesses to get to know each other. We’re looking forward to meeting our new friends as well as dedicated innovators from Australia”.